With the panoramic views of world’s tallest building Burj Khalifa and overlooking the beautiful Burj Lake and Dubai Fountain, Thiptara Restaurant at The Palace Hotel serves the most authentic delicacies of the Far East such as Thai and South East Asian picks. Sited close to the pool of The Palace, Thiptara Restaurant has won the Best South-East Asian restaurant award because of amazing taste and supreme quality of food. From which one can easily judge that this venue not only offers panoramic view of different sites, but also produces highly delicious food that can make anyone’s taste buds dance with excitement. Contemporary furniture, beautifully decorated interior and outdoor makes Thiptara even more alluring, as all these things together create a romantic and cozy atmosphere. This bistro is a home to the premium Thai delicacies which are consumed by the locals and tourists in the exceptional surroundings with some overwhelming views of the Downtown, Dubai. 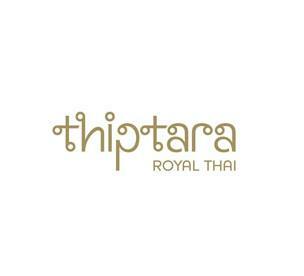 Just like the meaning of its name ‘The Magic at the Water', Thiptara serves refined and traditional food of Thailand which is a mix of both royal and today’s Bangkok-style seafood. Along with this some hand-picked South East Asian cuisines are also on the carte du jour of this eatery. As far as the drinks are concerned, alcohol devotees will find plenty of variety. In addition to this, smoking is also permitted in this eating place, whether you are sitting in its main dining hall, private area or outdoors. Since this restaurant is one of the most sought after venues in the town, therefore guests may need their reservation facility to book the table in advance. For having prior knowledge about their menu click here. The daily operational hours of this eating place are from 7:00 pm till midnight. People of Dubai can stopover at this venue to relish its delectable food on any day of the week during these timings. The Palace, Down Town Burj Dubai - Dubai - United Arab Emirates. Thiptara Restaurant has got no metro station within its 2.5 kilometres radius, therefore you have to use a car or bus to reach this eating place. Head north from this bus stop and then exit the roundabout. Later turn right and then make another turn to the right side before entering the roundabout. Check map for directions.